Some chapters are from my copy of Emma Goldman's My Disillusionment in Russia. 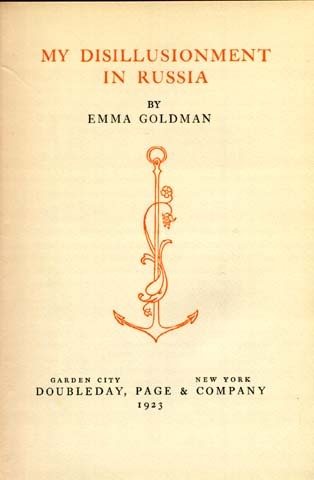 New York: Doubleday, Page & Company, 1923. The other chapters at Berkeley were taken from My Disillusionment In Russia, C.W. Daniel Company, London, 1925.